Debaditya Chaudhury, an entrepreneur with unmatched versatility and business acumen, has already achieved many a milestone in diverse fields from Music to Public Relations to Culinary Science. He is an alumnus of St. Xavier’s College, Kolkata, from where he graduated with a Degree in Commerce; he also holds a Business Management Degree from the prestigious IISWBM. 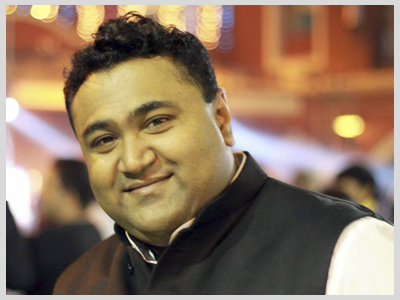 Debaditya heads the Kolkata branch of Blue Lotus Communications. At the helm of a young and dynamic team, he’s responsible for overseeing the entire operations of Eastern India. Under the able leadership of Debaditya, the Kolkata branch of Blue Lotus grew from a 2-member team to a 20-strong group with a clientele of corporate as well as government accounts.